The size of each Paw Patrol Goody Bag Tag is 4.25 x 2.5 inches. Print the tags on blank sticker sheets, plain paper, or card stock and attach them to your Paw Patrol Party Bags. This file is 8.5 x 11 with 6 Paw Patrol tags. 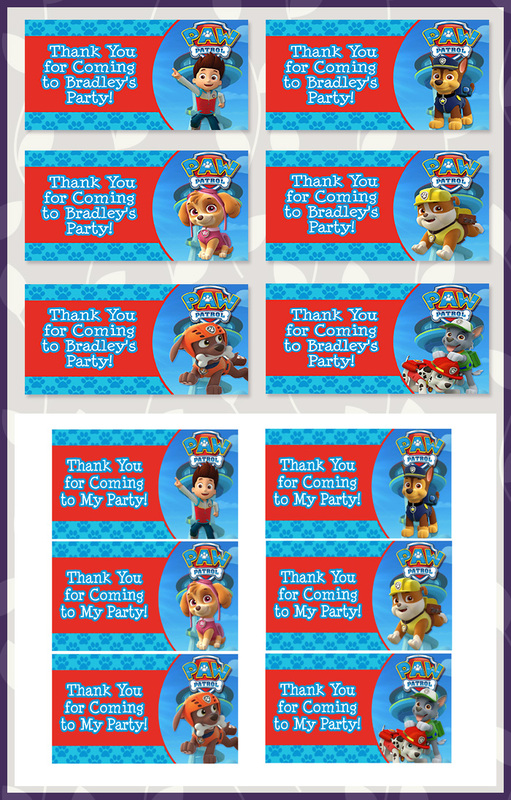 These double as a Paw Patrol Thank You Card as well. I can't this to download.